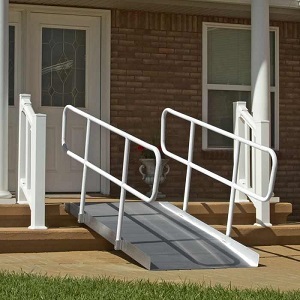 ADA extended handrail available upon request. XPS436 4' x 36" 49 850 lbs. XPS536 5' x 36" 59 850 lbs. XPS636 6' x 36" 71 850 lbs. XPS736 7' x 36" 81 850 lbs. XPS836 8' x 36" 91 850 lbs. * Maximum ramp capacity: 425 lbs. (one axle) – 850 lbs. (two axles). **Powder coated handrails not included in Limited Lifetime Warranty.